Nothing turns out the city like Pride. Thousands upon thousands of members of the LGBT community and its supporters descend upon the Bay Area and transform it into the country's largest rainbow colored celebration. This year's theme is Pride Not Prejudice. It's all about acceptance this week. And whether you're partying at Pride or just plain partying, we have the picks for you. The excitement begins tonight at Annie's Social Club for the Comedy Speakeasy. This showcase, featuring local comedians, will have you laughing all week. Then for a little bit of everything, check out Music by the Eyeful at Luggage Store Gallery for the latest experimentations in film, music and visuals. Friday night will be all about the summer jams at Mad Seven Mixdown at 111 Minna Gallery. Kick start the weekend of all weekends with Journey to the End of the Night, a free street game that's a mix between a scavenger hunt and a fierce game of tag. Then gear up for the Pride Celebration and Parade. Ranging over two days the festival features music, dancing, food and many good times. The party's at Civic Center Plaza and the parade makes its way down Market Street. Oh, but wait, there's more. On Sunday the Stern Grove Festival continues its season with The Idan Raichel Project. Then take the excitement down a notch to take in a little art on Monday for the My Life in Your Problem exhibit at Receiver Gallery. The 3-Year Anniversary of MELT and Levende Lounge! Featuring The Idan Raichel Project with HYIM & the Fat fOakland Orchestra. Today Stern Grove, a natural amphitheater surrounded by giant eucalyptus, redwood, and fir trees, is one of Northern California's favorite concert sites. In keeping with Mrs. Stern's vision, the wide selection of performers reflects the Festival's commitment to exceptional programming and to serving diverse audiences. Italian restaurants open to much skepticism in this city. The standouts are definitely a cut above the rest and are hard to compete with. As one of the newest kids in town, Chiaroscuro faces a challenge to be sure, but this taste of Rome seems to have found a home away from the masses at the base of the Transamerica building. As co-founder of X, John Doe played an instrumental part in the brief late 70s L.A. punk explosion that spawned several other notable bands, including Black Flag and the Circle Jerks. Doe has mellowed out sonically over the years and now splits his time between rootsy solo projects, The Knitters (another folk-infused band he leads with X co-vocalist Exene Cervenka), and X projects. He performs at 12 Galaxies on June 28th in support of his latest solo LP A Year in the Wilderness. Doe spoke with SF Station from the shoulder of Highway 5, somewhere in California. Live 105's BFD hit Shoreline Amphitheater with a vengeance last Saturday with 25 bands that ranged from local favorites like Street to Nowhere to legends of punk Social Distortion. Electro punk favorites The Faint closed the Budweiser stage with some old classics and new tunes that made the crowd freak out and dance. In my eyes, The Kaiser Chiefs stole the show on the main stage with their usual antics, acrobatics and amazing tunes. A red haired, piercingly green eyed siren helms the band known as A Fine Frenzy. Allison Sudol is said siren. Strikingly beautiful, she'd make just about anyone swoon with a brief fleeting gaze. Fortunately, Sudol is not a one trick pony. Her vertigo inducing appearance is matched by powerful pipes and a poignant musical sensibility that just may elevate Allison and the rest of her fine frenzy into public consciousness. 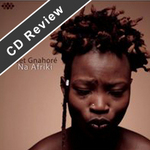 Dobet Gnahor�, a singer and songwriter from the Ivory Coast, grew up in an artistic colony and was exposed to music from all over the world, and Africa in particular, since she was a child. Since the mid 90s she's been collaborating with her French husband Colin Laroche de F�line, a guitarist well-versed in African styles, to produce her own kind of pan-African fusion. In the opening lines of "Bliss in Concrete", the first track off the newest release from Chicago's instrumental sludge-rockers Pelican, all I can think of is that Nirvana song, "Gallons of Rubbing Alcohol Flow Through the Strip". You may not know this one as it was originally released as the B-side to their "Heart Shaped Box" single (before you start with your silent judgments and criticisms about how much of a dork I am just know this: it was a gift). 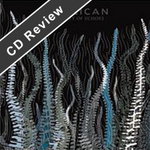 "Gallons" is a decent, albeit slightly excessive, standard grunge number that I was surprised to hear the likes of some fourteen years later coming from a progressive post-rock doom-metal band. Anyone who can remember watching Jon Voight and Dustin Hoffman in Midnight Cowboy and desperately hoping for a gay scene is probably resting quite easy right now in the eve of the 31st annual San Francisco International LGBT Film Festival. Continuing in its 31st year as the largest and oldest festival of its kind in the world, Frameline31 promises unprecedented access to the always dynamic, intelligent and edgy views of the best LGBT films today. The sequel onslaught continues with the second Marvel Comics inspired film of the summer, Fantastic Four: Rise of the Silver Surfer. The fantastic foursome -- Mr. Fantastic (Ioan Gruffudd), The Human Torch (Chris Evans), The Thing (Michael Chiklis), and Invisible Woman (Jessica Alba) -- find themselves in quite a quandary as the enigmatic entity known as "The Silver Surfer" pays a visit to Earth in preparation for the planet's ultimate destruction at the hands of the planet hungry Galactus. Naturally, this minor wrinkle derails the imminent wedding of Mr. Fantastic and the Invisible Woman. Such is the plight of your average superhero. No two dads are the same. Thus, finding that one gift to suit all dads is nearly impossible. I begin my search on the premise that San Francisco neighborhoods reflect shops that cater to certain types of people and hence types of dads. The sampling begins in the Haight. In Richard "Scrumbly" Koldewyn's musical revue "Wilde Boys", the famous decadence of Victorian England surfaces less in its setting and more in the clandestine winks and nudges of its songs, which altogether makes for an entertaining, albeit slightly contained, hour long musical.